A viral campaign that had hundreds of thousands of people drenching themselves in icy water for a good cause… How many people actually understood the deeper significance of this activity, and the cause which they were supporting? Even celebrities and politicians got in on the act; the official ALS Ice Bucket Challenge Youtube channel received millions of views, and the cause, helping amyotrophic lateral sclerosis (ALS — also known as motor neuron disease or Lou Gehrig’s disease) became the summer sensation of 2014. While the campaign certainly raised awareness, was it successful as a fundraising initiative? Forbes magazine reported that over $100 million was raised for research into ALS, and the ALS Association reports that $99 million was earmarked for research into the disease and a possible cure. The money raised by the ALS Association during the summer of 2014 was nearly 3,500% more than the amount raised the previous year, and one year on it appears that teams of medical researchers and scientists are making significant strides in the study of the disease. Earlier this month, researchers from Johns Hopkins University School of Medicine, published a study about the importance of research into a protein called TDP-43 and its role in the development of ALS. The continuing research into ALS would not have been possible without funding from the ALS Association, as well as a number of individual foundations including the Samuel I. Newhouse Foundation, the Johns Hopkins University Neuropathology Pelda Fund, and the Johns Hopkins Alzheimer’s Disease Research Center. 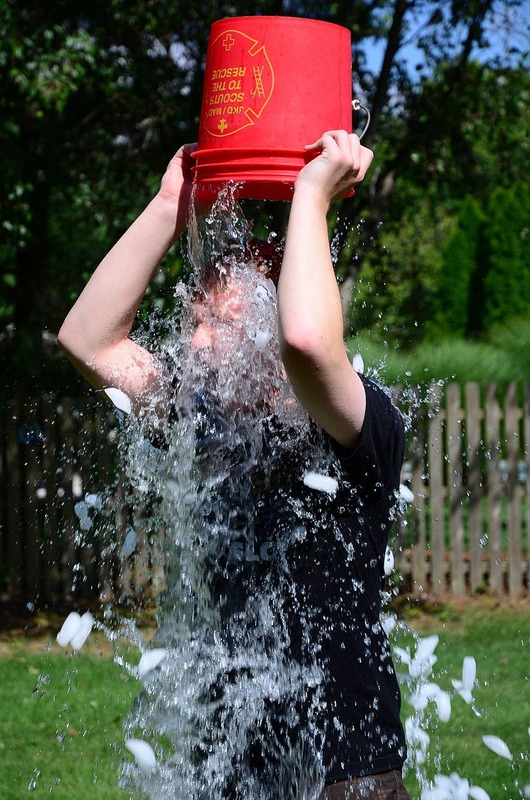 Why was the ice Bucket Challenge so successful? Firstly, it was fun. It allowed people to fully ‘immerse’ themselves in the fundraising process and allowed for ‘social proof’ and social sharing – both of which are a significant part of communication and lifestyle today. The Ice Bucket Challenge was one of the first campaigns that went truly viral, and it encouraged people to get involved, rather than passively ‘share’ content. The public became the curators of their own content and the fundraising challenge went from a passive program to a proactive performance and a feeling that even just by participating and spreading the word, an individual was able to help change the world.